Home News Prosperity Movement have a vision and they are nailing it! Prosperity Movement have a vision and they are nailing it! 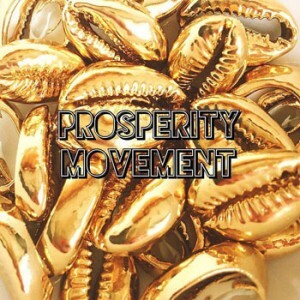 Prosperity Movement is an artful compilation of Reggae-Urban World fusion a beautifully crafted by a collaboration of solo artists WolfHawkJaguar and Osunfemi Wanbi Njeri, and features five lyrical compilations that fuse Reggae with Urban World Culture, Orisa, Hip Hop, and Rhythm and Blues. 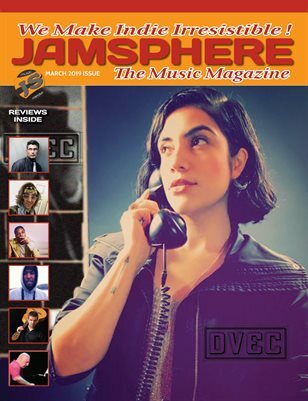 This collective is simply stellar. I don’t even care if it sounds like I am on their jock, because I am. They are arguably the best independent, feel-good, world music fusion band today. The sound of their music and the effort to make some good, positive lyrics (which is noticeably absent in a lot of other current outfits), not to mention their ability to rock the house, make them simply awesome. It’s been years since I have seen a band put out 5 different blends of styles on one EP with such uplifting confidence. WolfHawkJaguar and Osunfemi Wanbi Njeri obviously have a vision and they are nailing it. “Ile” and “Sounds of My Heart” are instant adrenalin-pumping classics. “House of the Rising Sun” will also put a smile on your face. I like that they thought big on this one and created these different styles. If you feel down or need some motivation pop in “Real Africans” or “Movement” and you will feel better in no time. This is power music for your soul with good vibes and great inspiration. The collective of WolfHawkJaguar and Osunfemi Wanbi Njeri is one of those acts that just hit you straight away. 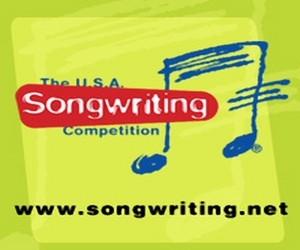 They write great music with positive lyrics that can help you get through tough times. This is no nonsense music – nonstop good vibes and awesome jams. It is super refreshing. Almost like a sip of cool water. As with his previous releases, you can always count on WolfHawkJaguar to bring quality and conviction to anything he does, and Prosperity Movement is no exception. Seriously, this is a beautiful EP. Every track has something unique and captivating about it. It’s catchy, flows well and has amazing vocals and melodies. Musically and lyrically, it gives you a lot – a tremendous work which draws on all WolfHawkJaguar and Osunfemi Wanbi Njeri’s best-executed styles. Not to be missed! 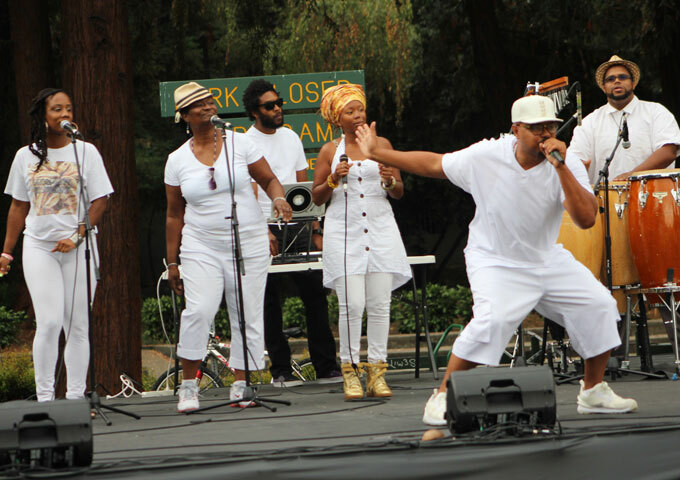 More About: Prosperity Movement is also record label created by a talented group of individuals in Oakland Ca. 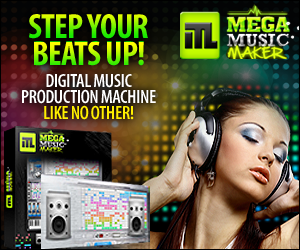 to develop, promote and distribute their brand of Urban World Music. 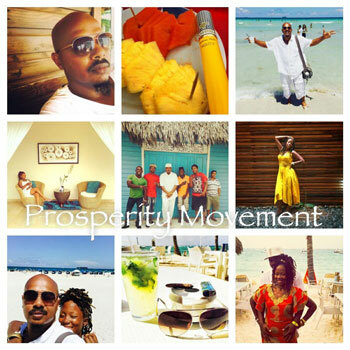 Prosperity Movement will launch (Eat, Drink & Prosper) a California tour starting @ Kingston 11 cuisine on October 29, 2015. On Nov 7, they will travel to Los Angles for two shows at Veda Mela Yoga Festival. They will finish up @ Bissap Baobob Senegalese Reasturant. They will be joined by vocalist Rashida Chase and Grammy nominated vocalist Dr. Lynne Morrow, DJ Kobie and percussionist Kele Nitoto. Clutch 1: “Pimp Walk [Prod. By DJ Breezy]” is incredibly intoxicating with its ‘lazy’ 70’s sidewalk beat!